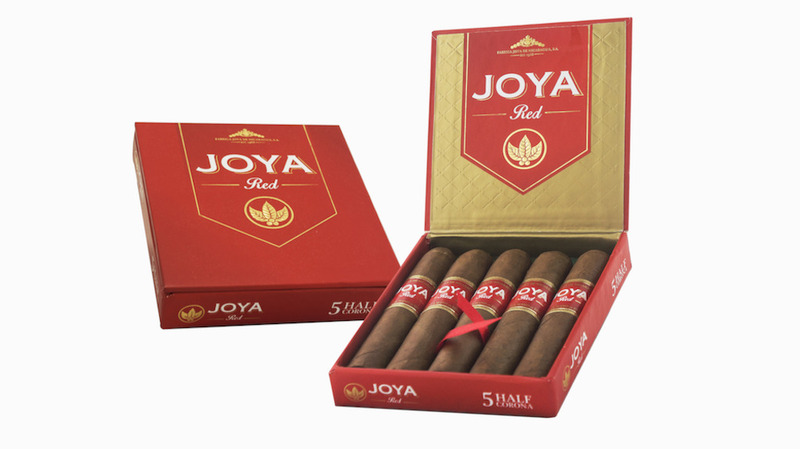 Joya de Nicaragua has announced that the Joya Red Half Corona (3¾ x 46) is now available for sale in the U.S. Joya de Nicaragua introduced this new vitola to the Joya Red cigar line last September during the Inter-Tabac trade show held in Dortmund, Germany. It had only been available in the European market until now. The Joya Red Half Corona is designed to satisfy the contemporary smoker’s desire for a quick, but extremely pleasurable smoke. Joya maintained the same lower priming Nicaraguan tobacco blend as the rest of the Joya Red line. This new vitola comes in boxes of 20 cigars and 5 count “petacas”. Joya Red is a medium strength smoke packed with flavor, outstanding construction and sharp burn. The brand was originally released in July 2014 as an invitation to rediscover Joya’s modern and fun side (#REDiscoverJoya) from the hands of its young executive team. It has quickly gained popularity with contemporary consumers, making it Joya de Nicaragua’s second best selling brand in the US market in only a year and a half. About Joya de Nicaragua, S.A.
(Miami, Florida) February 3, 2016— Miami Cigar & Company proudly announces that they have reached an agreement to become the exclusive distributor of Toscano Cigars in the United States. 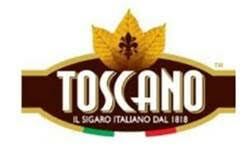 Based in Tuscany, Italy, Toscano produces high quality fermented Kentucky tobacco. The brand has forever been immortalized through film and television, most well known as Clint Eastwood’s go-to cigar in Sergio Leone’s “Dollars Trilogy” film series and other Spaghetti Westerns. Toscano has been producing cigars for 200 years. The unique flavors of the Toscano brands have made them easily the most dominant cigar brand in Italy. Made with only Kentucky, fire cured tobacco; the uniquely shaped cigars are known for their intense strength, aromas, and flavors of wood, roasting, peat, leather, and stable. Because of the unique fermenting process, the Toscano cigars do not need humidification; can be stored at room temperature for years, without losing quality. An interesting quality about the Toscano cigars is that most of the brands are meant to be cut in half, before smoking (two cigars per stick). Miami Cigar & Co. will distribute a wide variety of the Toscano brands, to include both the classic and the flavored Toscano cigar brands. Brands to be distributed include the Classico, Antico, 1492, Toscanello, the flavored Toscanello Aroma Café, Toscanello Aroma Vaniglia, and the Toscanello Aroma Grappa. 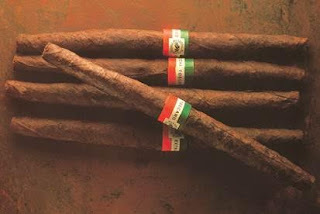 Most Toscano cigars are between the lengths 5.9 to 6.3 in. Each Toscano box holds 50 sticks which would be traditionally cut in half, to make 100 cigars, and range in price from $135.00 to $200.00 MSRP. (Miami, Florida) February 1, 2016— Villiger Cigars North America proudly names Rene Castaneda as their new President. In this new role, Castaneda will oversee all aspects of US operations, including sales and marketing. Castaneda will work in tandem, with managing director, Michael Blumendeller. Villiger Cigars North America goes forward with their plans to restructure and stay true to their commitment of providing the cigar industry with the best quality cigars. Rene Castaneda has an expansive tenure in the premium cigar industry where he was previously the Vice President of Sales & Marketing for Miami Cigar & Co. Most recently, he held the same position for the Orleans Group International and spearheaded the hugely successful Dram Cigars for Whiskey campaign. Castaneda is an Industrial Engineer with extensive knowledge in operations, distribution, logistics and inventory management. The hiring of Rene Castaneda is one of the many changes occurring at Villiger Cigars North America. One of many announcements in the near future will include changes in the Villiger Cigars North America portfolio which will encompass new premium cigar brands. Villiger Cigars North America was established to service the premium cigar enthusiast primarily in the United States. With production from some of the most respected manufacturers in Dominican Republic, Central America and elsewhere, it is the goal of the company, to introduce the finest smoking experience a premium handmade cigar has to offer. Today, and in the future, one can rest assured that when they choose a Villiger cigar, the quality of the leaf, the manufacturing, and even the packaging will be second to none. For media inquiries and interviews, please contact Creativas Group at: info@creativasgroup.com. Easton, PA -- Famous Smoke Shop is a leading online distributor of discounted premium cigars. The company specializes in offering the web’s widest selection of cigars at the lowest prices. Famous has just released a new cigar line in collaboration with Asylum Cigar Company, under the leadership of founders and cigar experts Tom Lazuka and Christian Eiroa. Both founders have had much success in their many years within the cigar industry, and have teamed up to bring an unprecedented level of knowledge in both cultivating and blending tobaccos to their joint venture. The new release is the Asylum Lobotomy, and it is exclusively available at Famous Smoke Shop. The first shipment has just arrived at the company’s warehouse and is currently available for sale on their website. The company has expressed that the new brand will be available in limited quantities, but is not a one-time release and will be a consistent offering for the foreseeable future. Asylum Lobotomy cigars follow suit with the national brand of Asylum cigars by being full flavored and more full bodied, yet offer an enticing blend of all Nicaraguan tobaccos for a flavor unlike anything else in the cigar industry. The core tobaccos are a mix of various Nicaraguan tobaccos from around the country, with a spicy/sweet Habano Maduro wrapper. It is recommended that this cigar be enjoyed by medium and full bodied smokers alike, but mild bodied cigar smokers would certainly enjoy this offering as an introduction to stronger and more flavorful smokes. Asylum Lobotomy cigars are available in four sizes – a 7 x 70 Large Cigar, a 6 x 60 Double Toro, a 6 x 50 Toro, and a 4 x 44 Petite Corona. Each offer 10 cigars per box, with the Petite Corona offering 20 cigars in a bundle. With Famous’ full box discount pricing, customers can enjoy this new offering with individual retail prices which range from $4.30 to $6.70 per cigar. People interested in learning more about Asylum Lobotomy cigars or Famous Smoke Shop should visit www.Famous-Smoke.com or call 800-564-2486. • La Aurora Cigar Institute is the first academic institution on cigars worldwide created by La Aurora Cigar Factory. Santiago de los Caballeros, January 26, 2016.-­‐ La Aurora Cigar Factory is the oldest manufacturer of Premium Cigars in the Dominican Republic and the leading company in the Dominican tobacco market also operating in more than sixty countries, among which the United States of America,Spain, Russia, France and Germany. La Aurora now takes a step further in its leadership by creating the first tobacco institute worldwide: La Aurora Cigar Institute. This institution is part of La Aurora Cigar World, a new concept in the world of tobacco whose primary objective is to create real experts in the field of Premium Cigars. This aim is to be achieved with the creation of La Aurora Cigar Institute, the first institution in the world to educate and teach about the world of cigars in a didactic manner, through a groupf of recognized professionals who will communicate and disseminate the Dominican tobacco culture. Said institution, that will open its doors next February, is endorsed by the Tobacco Institute of Dominican Republic. Its courses have been meticulously designed in terms of level and duration in accordance with the needs of the learner; on the initial stages, important representative figures of the tobacco industry will be present in order to impart their knowledge and expertise on the subject. We refer to Ángel Daniel Núñez, ex President of General Cigar Co, Benjamín Menéndez, an emblematic figure who has been linked to the world of tobacco for 62 years, holding the position of Senior Vice President at General Cigar, until his retirement in 2013, and Guillermo León, current President of La Aurora, among other major personalities of the tobacco sector. 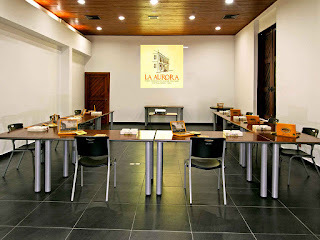 The courses imparted at La Aurora The Cigar Institute are targeted to various profiles. From the regular consumer of these type of products, who wishes to understandand learn to taste a cigar correctly, in order to enjoy this wonderful experience, to sommeliers that have the desire to broaden their knowledge, recognizing the influence that has the combination of different agro-­‐food specialties and beverages with cigars or trade sector specialists, such as owners of specialized shops, as well as journalists and salesmen of the tobacco sector. According to Guillermo León, President of La Aurora “The next opening of La Aurora Cigar Institute will undoubtedly be one of the major projects of our company in a very special year, in which we will celebrate its 113 years of existence through five generations. It is a bet on innovation through the creation of a unique institution at global level that will assemble great recognized professionals for the sole purpose of sharing their knowledge and spreading the Dominican Tobacco culture”. All courses place special emphasis on all aspects related to the understanding of the different tobacco plant varieties, soils, organoleptic characteristics, blends, cigar tasting and pairing between cigars and different agro-­‐food specialties. Course I runs for three days and deals with theoretical topics such as: history of tobacco, the economic and social importance of tobacco in Dominican Republic, climate and tobacco-­‐growing areas in Dominican Republic and how the tobacco plant is processed. On the practical part, the students will learn about elaboration of cigars, selection of tobacco, cigar tasting and pairing. Those participants wishing to continue will proceed to Course II,which lastsalso three days. In this course, students will find that the theoretical contents revolve around more specialized issues, such as: Dominican tobacco varieties and flavors and aromas of the different geographical regions of Dominican Republic. At the practical level, students will be exposed to a seminar on blending, cigar elaboration and pairing. Lastly, for those persons who have a limited amount of time, The Cigar Institute has developed modular courses and an educational program that will be imparted daily on our premises. These modules are designed to connect the student with the world of the Premium Cigar, providing students with a basic knowledge that can be upgraded with total freedom and flexibility in accordance with their availability. This program has a lecture time duration of two hours and a half. 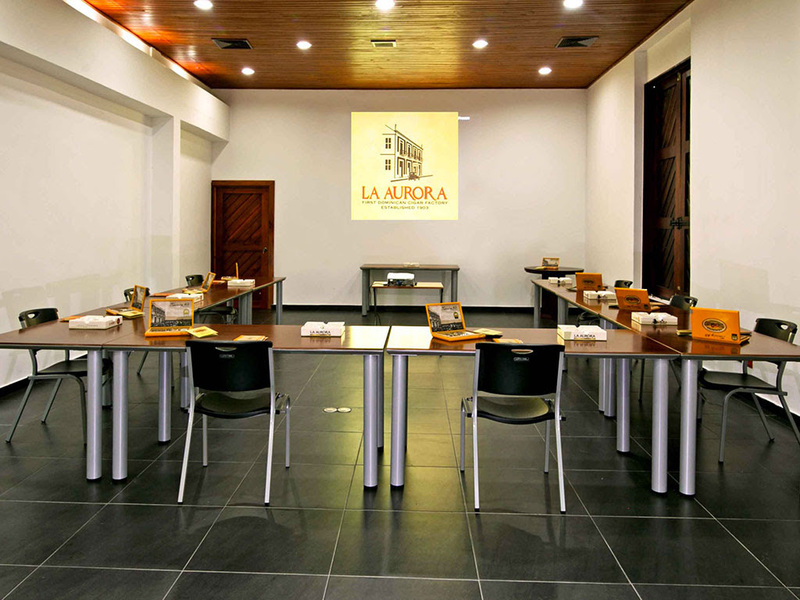 La Aurora’s Cigar Institute is located within La Aurora premises and consists of modern facilities equipped with all the necessary means and multimedia resources, for the proper and satisfactory development of the courses and programs. Those interested may consult all the information concerning La Aurora Cigar Institute (dates and courses fees) in www.laauroracigarworld.com. Some words on La Aurora Cigar Factory La Aurora is the oldest cigar factory in the Dominican Republic. Masters artisans elaborate manually the best handmade cigars, since 1903, almost 113 years ago today. Located in Santiago de los Caballeros, world capital of Premium cigars, in the center of the best tobacco-­‐growing area in the world, El Valle de Cibao, La Aurora Cigars is a family-­‐owned company chaired by Guillermo León. He represents the fifth family generation at the forefront of the company and a symbol for all Dominicans. La Aurora is the leading company of the Dominican tobacco market and is present in more than 60 countries among which United States, Spain, Russia, France and Germany.